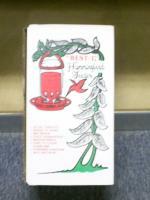 A treat for both the hummingbirds and you! The Artline 24 oz. 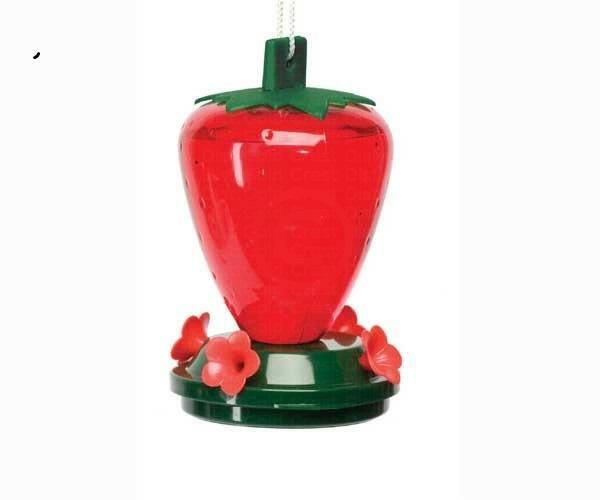 Strawberry hummingbird feeder is an eye-catching, stylish approach to hummingbird feeders that will quickly become a favorite of your friends and family. Made of durable, non-toxic plastic, this cartoonish strawberry feeder holds 24 oz. 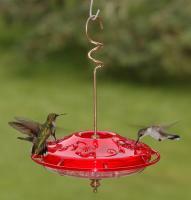 of hummingbird nectar and features four feeding ports with a no-drip construction to minimize insect intervention. Easy to fill and clean, and a sure-fire way to spruce up your garden with the beauty of nature! Of all our hummer feeders, this strawberry is their favorite. It's pretty easy to clean and to fill. Can't go wrong with this feeder. This works well in the Omani winter but in the summer ( temps = 120 F )the 12 oz feeder is best. I add a pinch of sodium metabisulfate to the nectar to stop fungus and bacteria. 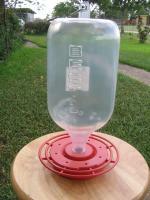 I love these hummingbird feeders!They are the best around. I have tried others, but they don't even come close. I have two in my kitchen window right now. We have even given the little birds names because we can see them up close and identify their colors and markings. It's so much fun. I will definitely buy more for presents. I have ordered two in the past, and am ordering two more to give to friends. They are GREAT! My whole family can watch the hummingbirds feed while standing at the kitchen window. You get an up close view of these beautiful little creatures. Great company to deal with. Fast delivery also. 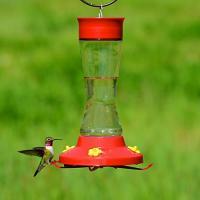 These feeders are great for those who really love to watch the hummingbirds! While they perch and feed...you get to observe their habits. Then they perch nearby...they seem to love it too. 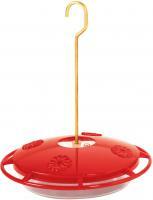 We love the Artline 24 Ounce Strawberry feeders. The hummingbirds love it too! I couldn't find one in local stores so I was happy to find it on your website. I am well satisfied with what I purchased. This one is too small. I used to have a larger one that I bought from a nursery, but the deer broke it. Maybe I'll buy another one from you if you have a larger size. The birds do not use this feeder as much as they do others that I have in the yard. They seem to like the glass feeders that I have hanging. I also like the glass b/c it is easy to keep clean.